Taken with a Sony a6000 and a Sony 16-50mm ƒ/3.5-5.6 lens at 16mm @ ISO 100 . 1/100 sec . ƒ/8. There's been some progress, but it's at a gentle pace in these cool temperatures. The cooler temperatures are expected to stick around for a while, but it should become a bit warmer around the end of next week. The slushy snow and rain we had yesterday didn't cause any problems for the trees, and current forecasts don't point to any show-stopping cold temperatures coming up that might threaten a repeat of last year. I've been getting a lot of questions on whether there have been any changes to the peak bloom forecasts. No, so far, there haven't been--the original forecasts are still the current ones (March 17-20 for NPS and March 23-27 for Washington Post). If there is going to be a change--and to be clear, I don't know that there will be--the most likely would seem to be the NPS pushing their forecast back. But for now, the original forecast still stands. As always, you can find the latest peak bloom forecasts on the peak bloom page. The indicator tree isn't flowering yet, but it is just starting to show some puffy white blossoms that are close to popping. And the saucer magnolias aren't flowering yet, but they're also close. Some photos of them below. Here's a sense of how things are looking today. The so-called indicator tree is consistently a week to ten days or so ahead of the others. As of this morning, it has some puffy white blossoms ready to pop. The saucer magnolias (or tulip magnolias) aren't flowering yet, but they're very close. Here are some shots of the ones at the George Mason Memorial taken this morning. When they are blooming, I strongly recommend a visit to the Enid A. Haupt Garden (behind the Smithsonian Castle) for a really spectacular scene. What's that White Strip on the Dome of the Jefferson Memorial? What looks like dirt is actually actually alive--it's a biofilm that's made up of bacteria, fungi, and algae. When it sticks to the stone, it gives it that tarnished, dirty look that we've become used to seeing on top of the Jefferson Memorial. The NPS recently tested a preservation method of laser cleaning. Lasers are used to remove the biofilm without damaging the stone and without the need for chemicals or abrasives. That strip you can see is where the test was done. It was judged to be a success and will presumably lead to some as-yet-announced expansion into a full-scale cleaning of the dome. 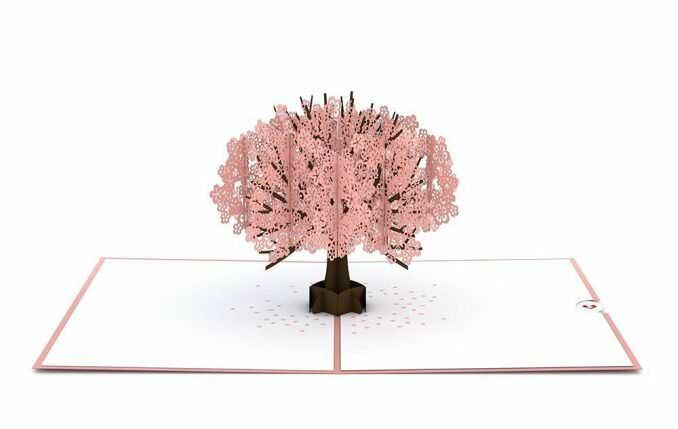 If you're looking to treat someone with a nice card with a cherry blossom theme, I can recommend these pop-up ones from LovePop. They're incredibly intricate 3D paper sculptures and are really something quite different. LovePop is a startup based in Boston. I don't have any connection to the company other than being a happy customer (so no, they're not paying me to say this), but I've bought several of their cards now and have been very impressed with them. And the cherry blossom card is particularly appropriate. I gave to someone recently and it looks even better in person than in the photos. I usually steer clear of cherry blossom-themed merchandise, but this is one I make an exception for. They're well worth a look if you're looking for a card that's a step up from the usual. You can find them here. Coinciding with the release of their new Sony A7III, Sony is putting an aggressive marketing push behind their Sony Alpha range. That includes a trade-in deal where you can trade in your old non-Sony gear for one of their newer cameras. You can get a quote immediately online as well as get a special trade-in bonus. You can find details at B&H Photo. BorrowLenses has 15% off any rental. Use coupon code TAKE15OFF. Offer expires 3/12 and orders must be delivered/picked up by/on 3/19. They're also offering 20% off a selection of popular gear (use coupon code 20FOR20 and only applies to these lenses and cameras. Walking photo tours can be a great way to learn some new photography skills with the help of experts. And photo tours for the cherry blossoms can take advantage of expert local knowledge to know where to be when to get the best light and vantage points. If you're looking to do a photo tour while you're visiting, there are a few options. The best place to start is with Washington Photo Safari, but there are also some other options, which you can find on the DC photo tours page. Thanks, David, this website is invaluable at cherry blossom time, a really big help.